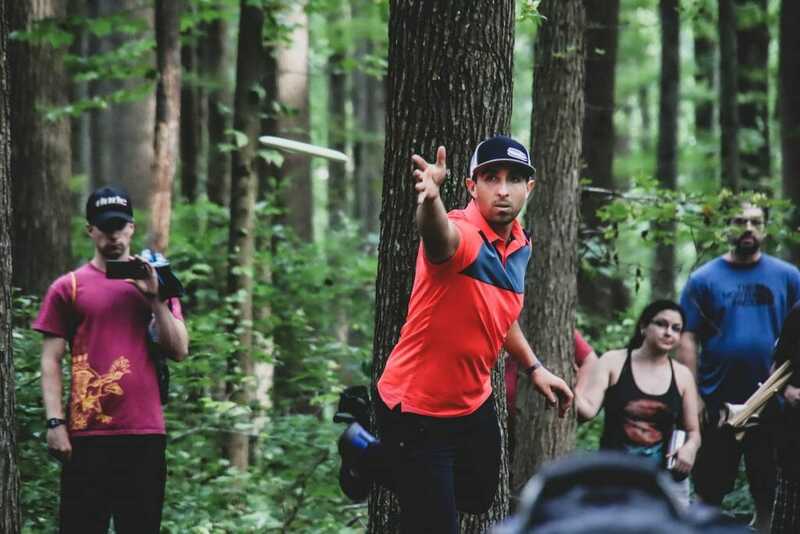 Paul McBeth’s performance at the Delaware Disc Golf Challenge on the unforgiving Iron Hill course should be remembered as one of the most impressive we have seen this season. And the battle that ensued over the final round will be one we remember for even longer. McBeth led wire-to-wire and held off a hard charge from Ricky Wysocki in the final round to take his first PDGA National Tour win of the season by four strokes, finishing at 36-under par 180 total. McBeth shot above his 1047-rating all three rounds, and only carded two bogeys on the weekend, both during the first round. His first and second rounds were gems in their own right, shooting a 1049 and 1048-rated round respectively, but his third round, well, that was the crown jewel of a dominant weekend. McBeth’s 1062-rated, 14-under par 58 slammed the door shut, solidified the win, and set a course-record in the process. At one point midway through the final round, McBeth hit five Circle 2 putts in a row for birdies. He added another Circle 2 birdie later for good measure. Iron Hill is a notoriously difficult track, but McBeth has shown time and time again that there isn’t a course on the planet that he can’t handle, and part of that is owed to game planning. Looking at the UDisc Live scorecard, it appeared that part of McBeth’s strategy was to score when he could on the front nine, and then rack up a run of birdies on the back nine. For the weekend he averaged 4-under on the front half of the course, and 7-under on the back end. Was he at all concerned with Ricky Wysocki and Eagle McMahon, who were hot on his tail throughout most of the final round? Nope. Wysocki, who battled a stomach flu during the tournament and even visited the ER before the final round, was matching McBeth stroke-for-stroke during the final round but never closed the gap to more than one. A late bogey on hole 18 gave him a 13-under par 59, which would have tied the existing course record. He finished in second at 32-under par 184 total. 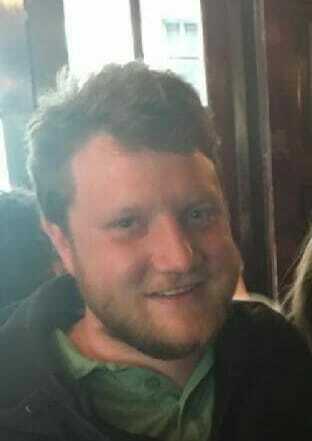 It feels like we’re downplaying how extraordinary Wysocki’s round really was. This could have easily been his “Flu Game” if not for a motivated McBeast. Wysocki hit four Circle 2 putts, one for eagle, was 64-percent in fairway hits, and scrambled at a 75-percent rate in the round; all great for a wooded course such as Iron Hill. But when McBeth is at 95-percent of fairways hit and doesn’t even have to scramble, it can be hard to compete for proper attention. McMahon moved up four spots on Sunday after shooting his own 13-under par 59. He finished tied for third with Paul Ulibarri at 27-under par 189 total. For the rest of the field, Iron Hill lived up to its reputation and then some. Newly-crowned World Champion Gregg Barsby failed to crack the 1000-rating in his second round when he shot a 996-rated, 2-under par 70. Barsby finished his weekend in a tie for 19th place with Austin Hannum at 16-under par 200 total. Matt Bell’s 990-rated, 1-under par round two spoiled his otherwise stellar showing and finished him in a tie for seventh with Michael Johansen at 22-under par 194 total. Even James Conrad, who this course seems designed for, shot a 996-rated, 3-under par 69 to close his weekend, dropping him 10 spots into 17th place. We won’t see many competitors in the same place again until the first week of October in Rock Hill, South Carolina for the United States Disc Golf Championship. 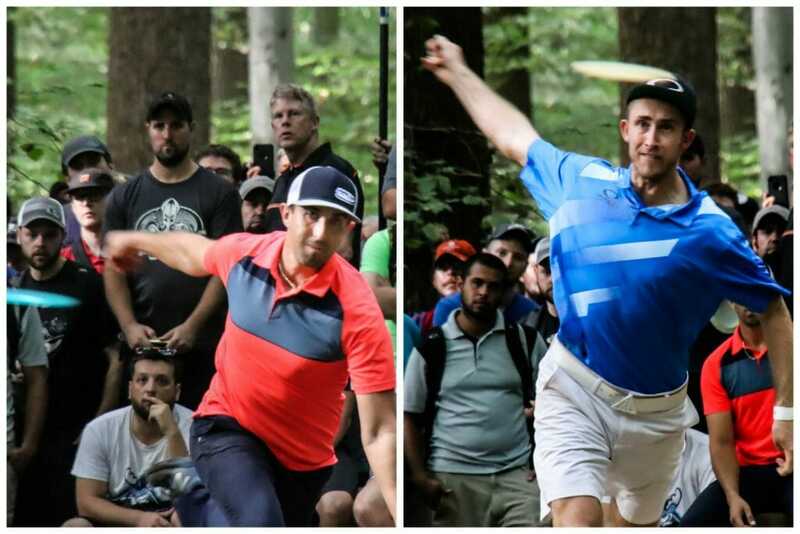 Comments on "McBeth Outlasts Wysocki In Delaware Shootout"